Red roses? Yup, this Bear has exactly the moves that will leave her feeling smitten. 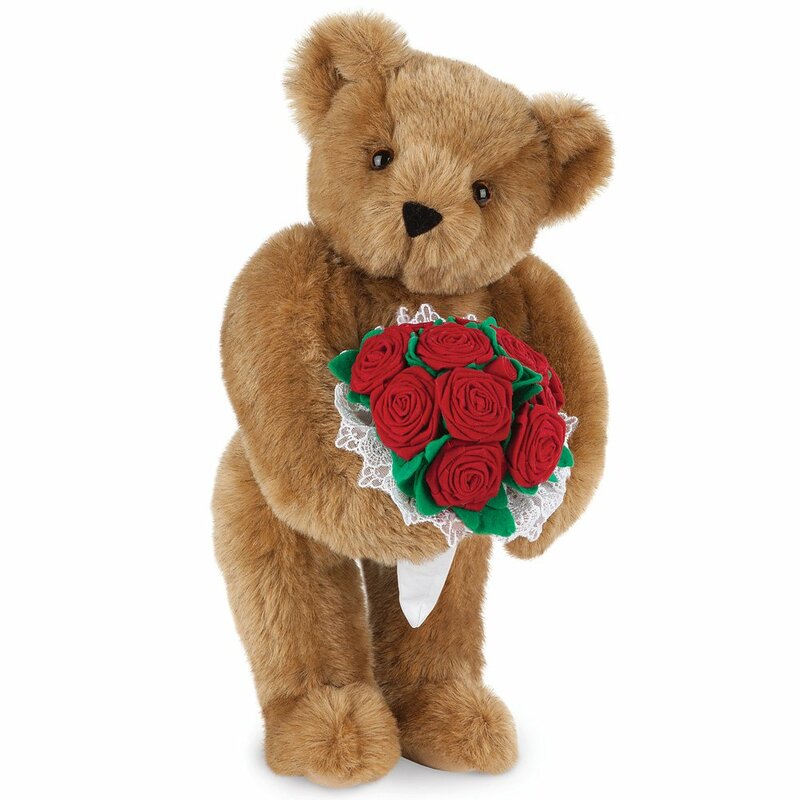 The red velvet rose bouquet is accented with white lace for an extra-romantic touch. Handmade in Vermont, USA using the softest fur we can get our paws on and 100% recycled stuffing.